For professional use, our industrial grade Hoffman Pro-Series Pacs are our best selling boots— and for good reason. Less bulky than traditional felt pacs, the Pro-Series is an ideal boot for a wide variety of outdoor activities, weather conditions and terrain. 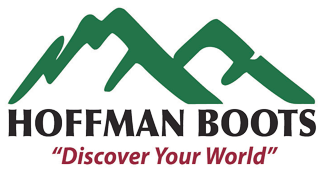 While other companies seem to be lessening the quality in their rubber bottoms, Hoffman’s Pro Series waterproof, pure rubber bottom is simply the toughest on the market. The crack-resistant rubber features a steel shank for arch support and a rip-stop material built into the walls of the rubber for unbelievable toughness. Four sole choices are available depending on the conditions you are in. See more details and sole choices by clicking on boot. Made in Kellogg, Idaho. Our Hoffman Felt Voyager is made with our exclusive “pro-series" hand-laid rubber that will outlast normal pac boot bottoms. This combination of rubber and interlining layers of reinforced material creates a durable bottom that is second to none. 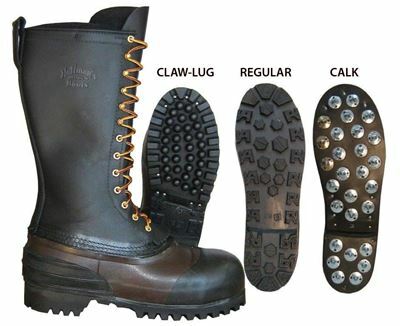 For traction, we offer two sole choices: our Claw-Lug sole with stabilizing lugs or a standard lug sole. Our Hoffman Voyager features our exclusive non-twisting arch guard and reinforced toe cap for longtime wear. We attach a heavy 71/2 oz. oil-tanned leather upper made here in Idaho that is triple-stitched, glued and sealed to give you the most water-resistant felt pac available. 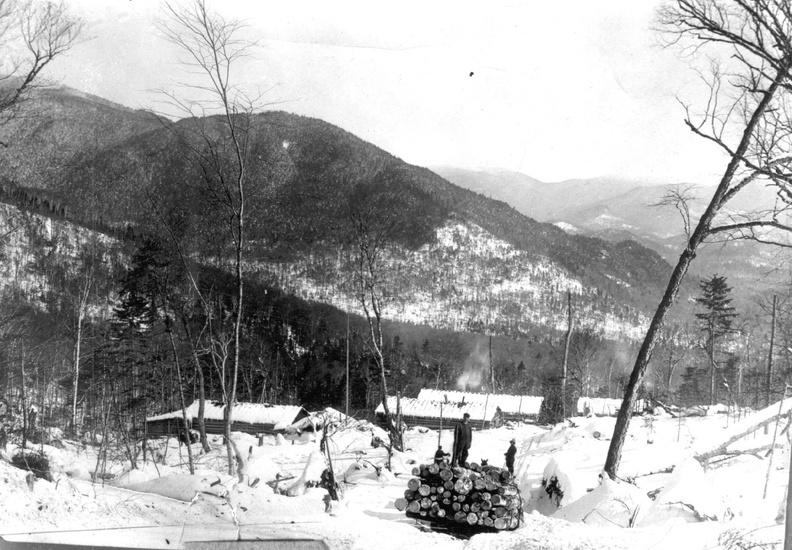 The Hoffman Felt Voyager makes an excellent choice for heavy use in cold conditions. Made in Kellogg, Idaho. 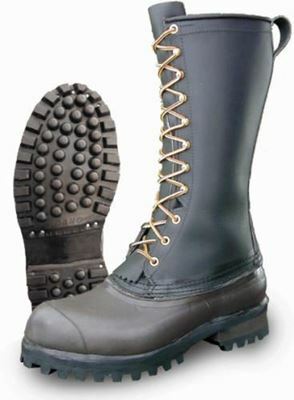 If you're a person whose job requires a steel toe or need the protection that a steel toe boot provides, this boot is a perfect fit. 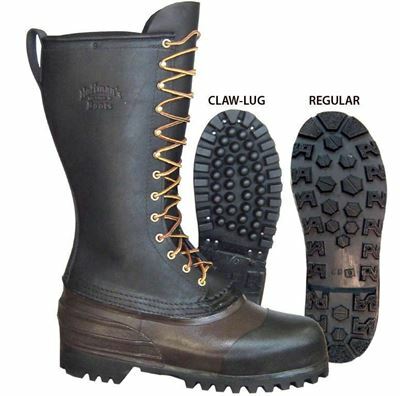 Our waterproof rubber bottoms feature a layer of polyester and polyamid to slow chain saw penetration . This new technology makes this the toughest bottom available in the USA. 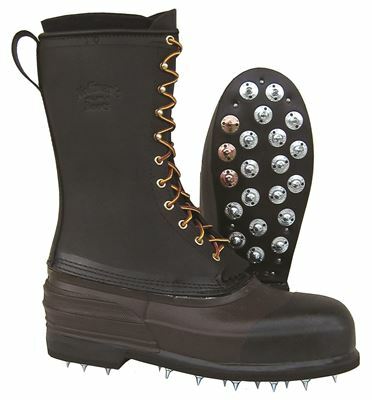 The claw-lug or vibram sole offer excellent traction in all conditions. This steel toe meets ANSI (Z41 Pt 91, MI-75 C-75). Made in Kellogg, Idaho. 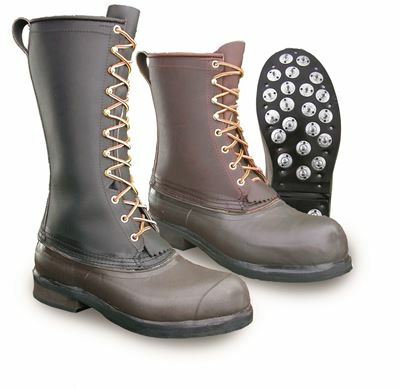 For those needing a safety toe and who work in colder conditions or have long periods of inactivity, our Steel Toe Hoffman Felt Lined Calk is a good choice. 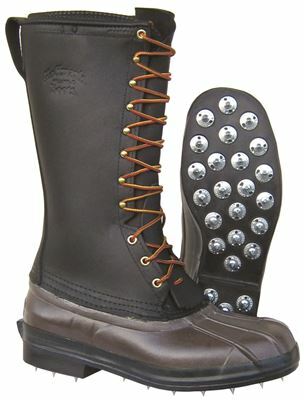 Built with a removable 9 mm felt liner, this boot offers warmth in the coldest conditions. A polypropylene inner liner wicks moisture away from your feet to keep you dry. A rebuildable and improved industrial grade rubber bottom eliminates cracking and premature rebuilds. Replaceable calks and a triple stitched, 7 oz. leather upper make this boot a great value.